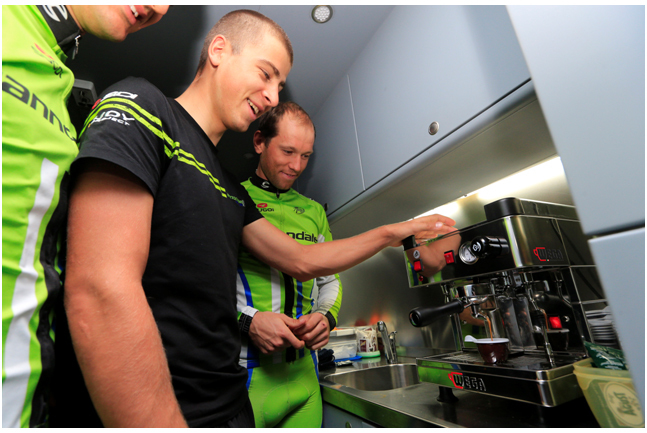 Seriously, Wega Coffee Machines has announced announced a new partnership deal with Team Cannondale Pro Cycling. 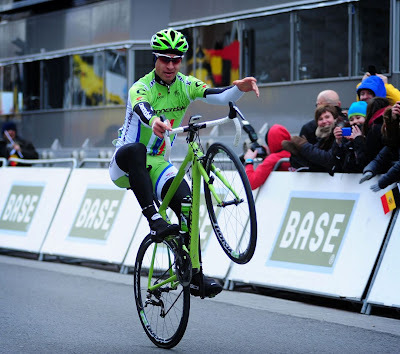 Under the agreement the Wega brand will be able to boast the title of official supplier to the team that features Ivan Basso, Moreno Moser and current World Tour leader Sagan. “We're happy we reached this agreement" comments Roberto Amadio, Team Manager for Cannondale Pro Cycling. “The tradition of Italian espresso coffee is recognized all around the world. We hope that our activities and our victories will offer visibility to this prestigious brand that is recognized internationally for its quality".